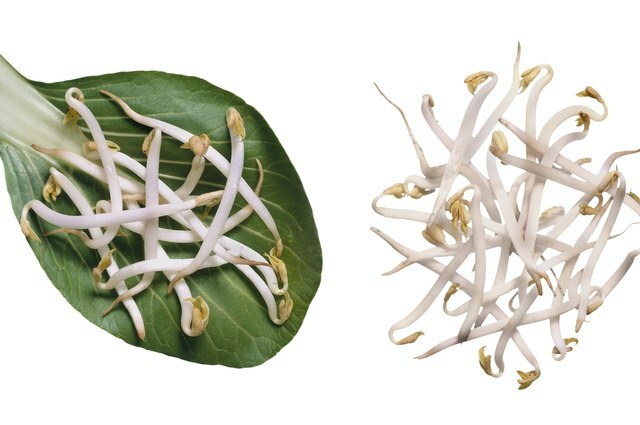 Bean sprouts are an easy way to eat concentrated amounts of vitamins, minerals and enzymes, according to the The International Sprout Growers Association . 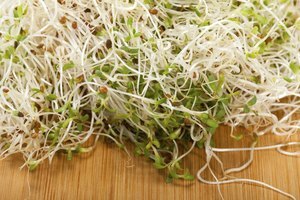 Often eaten raw on sandwiches or in salads, the sprouts have been linked to salmonella out breaks. 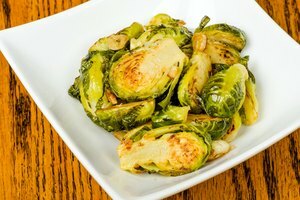 The Canadian Food Inspection Agency's website suggests consumers cut their odds of becoming ill by purchasing crisp sprouts that are surrounded by ice, and cooking them before consuming them. Put the bean sprouts into a wire basket. Place the basket inside of a pan and cover the sprouts with water. Put the pan on a burner set to medium heat and boil the bean sprouts for four to six minutes. 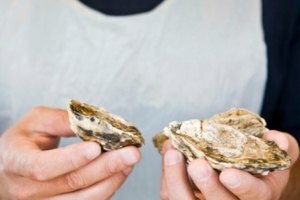 Remove the basket from the water and immediately set it into a bowl of ice water. Drain the cooled bean sprouts.